Safety Planning is a very important step when experiencing Domestic Violence. Knowing what steps to take if something goes wrong, keeping children informed and important documents easily accessible are all parts of how to stay in control of even the worst scenario. Any one of the following links can offer a great start on how to create your own Safety Plan, but from experience, we highly recommend contacting one of the agencies on our Community Links page and sitting down with one of their knowledgeable staff to help develop your plan. Having someone give you calm, sage advice for something as serious as this is never a bad thing. 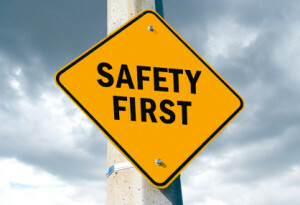 Comprehensive safety planning information can be found on the Neighbours, Friends & Families site. Check out the Hamilton Health Sciences site for some helpful information on what a safety plan looks like. The Peel Committee Against Woman Abuse has created a booklet that offers an in depth view on creating a safety plan. It is offered in a dozen different languages on Your Legal Rights website. The numbers at the end of the booklet pertain to the Brampton area, but the rest of the information is very helpful. The Clark County Prosecuting Attorney offers a fill-in-the-blank sort of Safety Plan as well as some very practical information about staying safe in various private and public locations. HealthLink BC talks openly about developing a Safety Plan and discusses what to bring when leaving, along with how to stay safe after you leave. The Ontario Ministry of Labour's website seems a little out of date, but this page does give a few good tips and some links, as well.